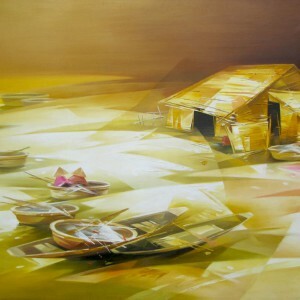 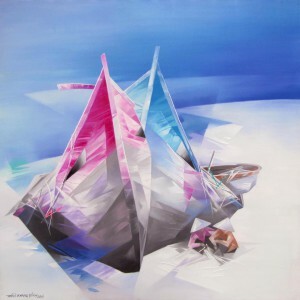 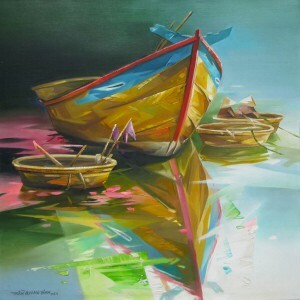 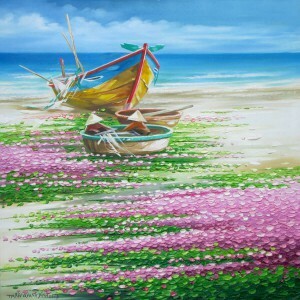 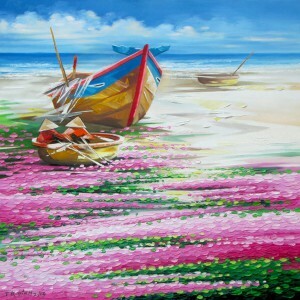 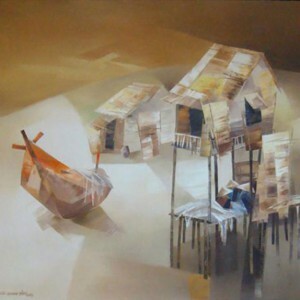 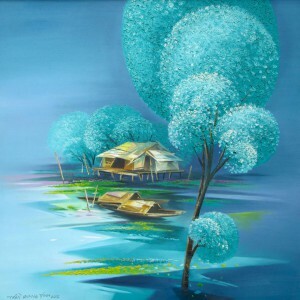 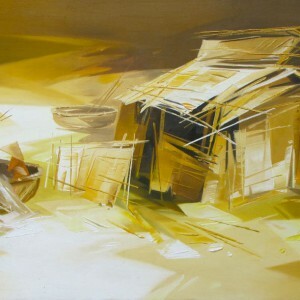 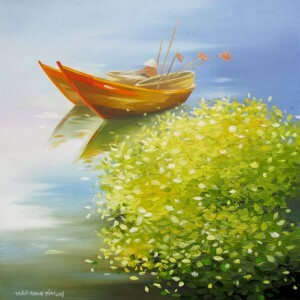 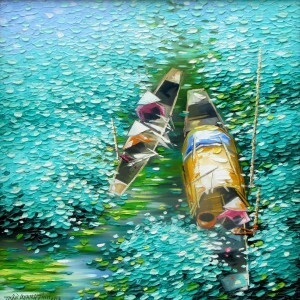 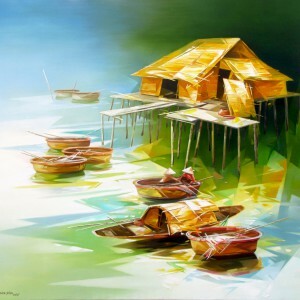 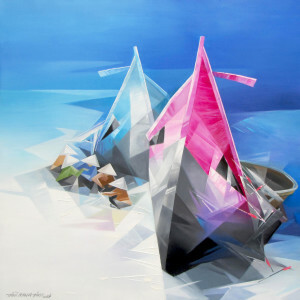 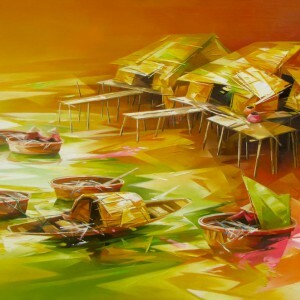 Having grown up in Phan Thiet, one of Vietnam’s major fishing trade centers, images of boats are a recurring theme in Vietnamese artist Tran Quang Dinh’s canvases. 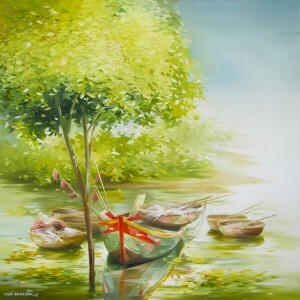 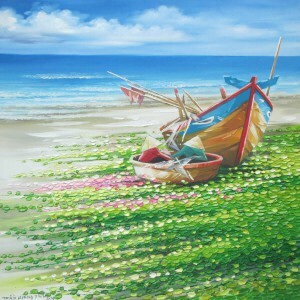 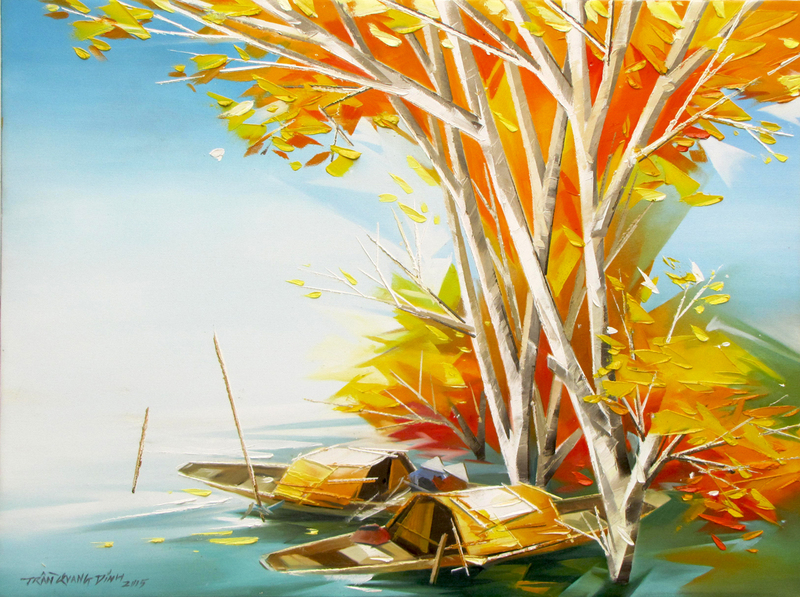 Tran Quang Dinh’s “Resting Boats” is a stylized depiction of anchored boats beside two towering trees on the shore. 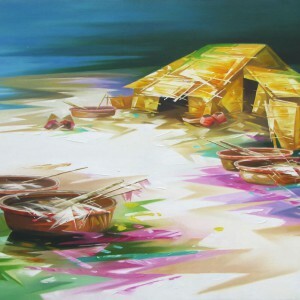 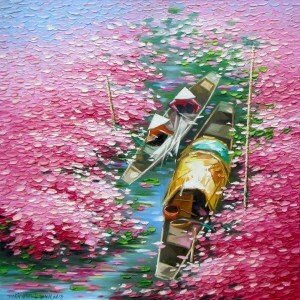 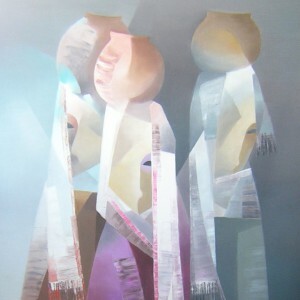 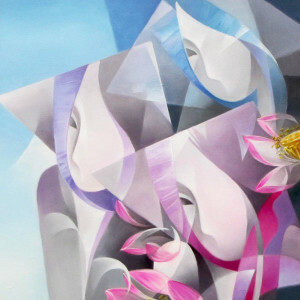 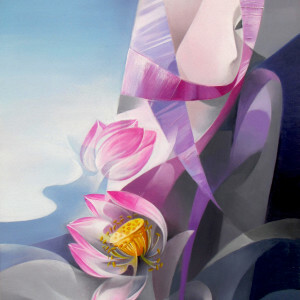 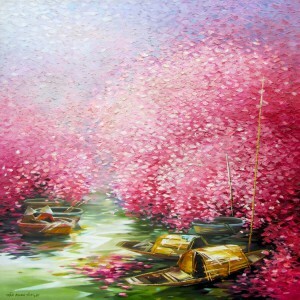 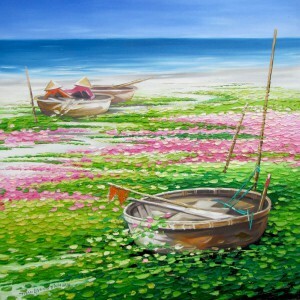 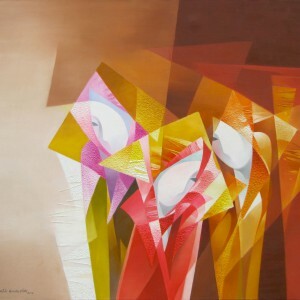 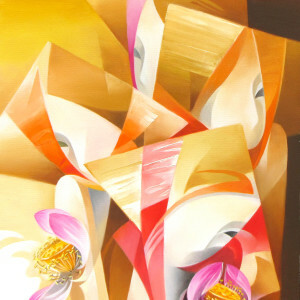 It is a contemporary presentation of a common theme in traditional Asian paintings.